KANNAPOLIS, North Carolina (Sept. 26, 2018) – Aric Almirola and the No. 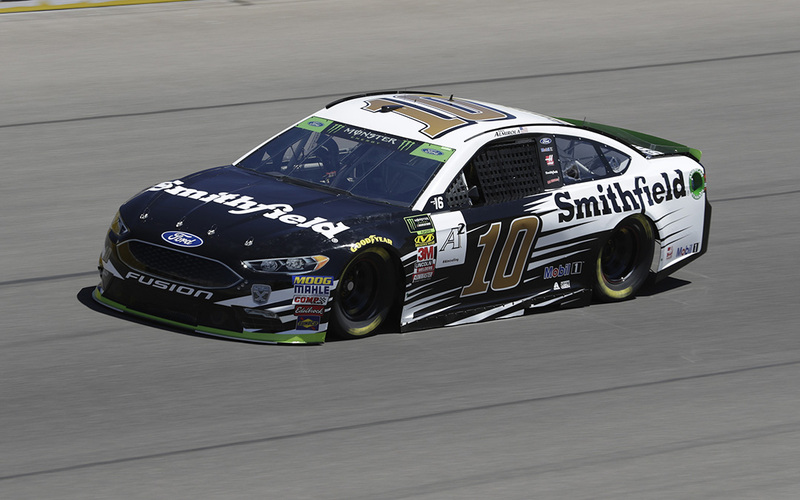 10 Smithfield Ford Fusion team for Stewart-Haas Racing (SHR) make the short journey from the team’s headquarters in Kannapolis, North Carolina to Charlotte Motor Speedway in nearby Concord. The Smithfield team heads into the weekend with momentum from Saturday night’s race at Richmond (Va.) Raceway, where it posted a fifth-place finish. Earlier today, SHR announced a new partnership with Valley Technical Academy. The school will be the primary partner on Almirola’s No. 10 machine for two races next season. Additionally, Valley Technical Academy will be displayed on the decklid of the Almirola’s Smithfield Ford this weekend. ​Aric Almirola will make his 273rd career Monster Energy NASCAR Cup Series start this weekend at Charlotte (N.C.) Motor Speedway. Almirola is sixth in the playoff standings after last weekend’s fifth-place finish at Richmond (Va.) Raceway. Almirola is currently second among his Stewart-Haas Racing (SHR) teammates in the playoff standings. The Smithfield driver can automatically clinch his spot for the Round of 12 in the playoffs with a second-place finish on Sunday. This weekend’s event at Charlotte will mark the Tampa native’s 13th Cup Series start at Charlotte, but it is the inaugural event on the 17-turn roval. Almirola tested at the Charlotte “roval” with the No. 10 Smithfield team in July. The 34-year-old has led 116 laps this season, the most in his Cup Series career. The roval is the third road course start this season for Almirola in the Cup Series. His Sonoma (Calif.) Raceway result in June was eighth, and he ended up with a 22nd-place finish at Watkins (N.Y.) Glen International in August.